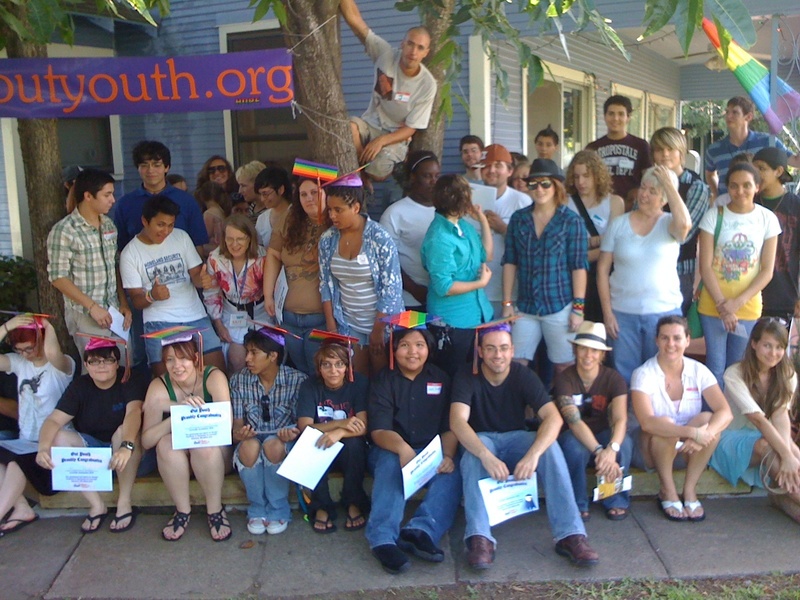 youth empowerment | A Trip to the "Morg"
I love Out Youth. I love working there and I love the work that I do. Out Youth is important to me in ways that I cannot begin to enumerate. Most of all I love the people, the family that I have found there. From the young people that I serve and who teach me in turn to the other interns to the volunteers to the paid staff. In many ways, I feel that we are closer then any family. Certainly we have our squabbles and differences but for all that there is a true sense of love and community that I feel there. And thats because we have all been through similar struggles. Out Youth is the oasis that we find and become a part of. After wandering through a desert world that hates us and oppresses us, we find Out Youth in the midst of it all. With cool water and a place for all, its a haven where we are all safe, staff and young people alike. And there to greet you when you arrived was Lisa Rogers. Lisa, with her bad puns and warm heart and strong hands, with her unending energy and her undeniable passion, she was always there. With her amazing ability to inspire young people and her unbelievable commitment to Out Youth, she did everything from orient the new volunteers to write the newsletter to develop programing. She was here the earliest and left the latest. She was always here. That is until the Out Youth Board of Directors eliminated her position and laid her off in the most disgusting of ways. With absolute lack of professionalism she was terminated effective immediately with no notice and no chance to not only say goodbye but also to follow up with people she was to meet with and delegate tasks to those who would remain behind. But even beyond that she was treated with out humanity and she was not treated as one would treat a family member. She was not treated with the respect and dignity that you would give to a beloved elder or a badass crazy crone. And we were not consulted or asked or even given the opportunity to work on this as a community. Why? Because the Board of Out Youth are not a part of this family. And I wish to Goddess that they were! I want them to be a part of this community. I want them to know the family that they serve. Meet the young people that have been saved because we were here. I want them to know us! I’ve asked young people and volunteers alike if they had ever met a Board member and the answer again and again was no. How can they know what is best for this community when they don’t even know its members? How can they pretend to have executive power when they don’t know us? They have forgotten that they work for us. So I say to you, Oh Board. We are on to you. We are on to your lack of organization and ineptitude. We are on to your pompousness and on to your self-importance. We are on to the fact that you are not doing your job. I propose a call to action. It is high time that we hold the Board accountable to us. It is high time we created a culture where young people can empower themselves to be a part of the Board and give themselves voice in this organization. It is high time that the Board met us where we were at and made us a part of the decision making process. It is high time that we steered our own ship and its high time for the Board to get us the fund we need to run effectively. Beware. For the actions you take have consequences. And the storm is coming.